Hello – Let me introduce myself…. The second thing I would like to tell you about myself is that I have a FACEBOOK addiction. This is my absolute favourite way of communicating with my friends and family, other than texting. So it wouldn’t come as a surprise to most that I used Facebook to see what people thought of me writing a ‘Mommy Blog’. ” **Long Post Warning** If you bore easily, please scroll past and finish looking at your home feed. So….I’ve decide to start a Mommy Blog. 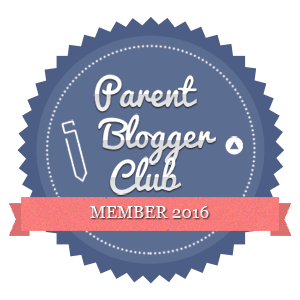 I can imagine some of you are rolling your eyes thinking – the internet world doesn’t need another Mommy Blog!! Well I think of it like this, even if I don’t get one single follower – at least I can look back on my blogs as an online journal to remind myself of the antics I’ve gotten up to over the years. I DO have a lot to say, I’m just not proficient at verbally communicating it. WRITING is my thing!! Something I’m sure a lot of you don’t know about me is that I wrote 2 full length unpublished novels by the time I was 14. I was the Senior Editor of my high-schools published literary journal as a teen and I was accepted to Carleton University in Ottawa to study Journalism before my life went WAY off the rails and turned in a totally different direction. I’ve studied Interior Design and I’ve worked for one of Toronto’s most well known firms – interior design being my second love. In less than 3 weeks, my life is going to change in a HUGE way and this is going to be a great opportunity to share with other people who have been or currently are, in similar situations or who just want to follow my crazy antics. We are moving from a city with the population of 650,000+ to a town of 8,000 – soon to be 8,004. I am a city girl, always have been, always will be, so this is going to be MAJOR culture shock, not unlike if I were moving to the moon! I now will also be known as PioneerDiva, in addition to Dzyndiva and MommyDiiva. The reason for the move is to be closer to family but also because of the BIG house that we fell in love with! Let me say that it HAS TO BE AN AMAZING HOUSE in order for me to have agreed to leave the city!! I plan on making the most of this move! Two of the people that I plan on referencing on a regular basis are two women I think are amazing women and mothers – Joanna Gaines from the HGTV show Fixer Upper and The Pioneer Woman, Ree Drummond. Both are a wealth of knowledge!!! There are so many DIY projects that I want to do to this house – there are lots of DIY’ers out there that might find my before and afters helpful. We also have a huge, beautiful DREAM kitchen that I spent A LOT of money to create and I plan on finally learning how to cook (post recipes) and we also have a huge cold cellar, so I am going to be learning how to do pickling and canning!! I want to start making and selling all natural soap as well as my own style of jewellery. The thing I’m looking forward to the most is designing our backyard OASIS, which will include a pool with a waterfall and grotto. We will be designing and building a pool house, outdoor shower, patio – gardens and landscaping and last but not least – a vegetable garden, something I’ve always wanted to have but didn’t have the room for in the city. I may even drop hints every once in a while as to how I plan on paying for all this!! Life with two toddlers is never boring and I will have many opportunities to talk about parenting and even about relationships and how they change once you become a parent and things that you can try to keep things on an even keel as well as keep the fire roaring, just not smoldering. Believe me, I am not a KNOW IT ALL by any stretch of the imagination, I’ve just recently become ADDICTED to PINTEREST and there is a plethora of information that I’ve found that I plan on making good use of!! Why not share? The response to my post was overwhelming! Much more support that I thought or had dreamed of, so off I went – planning, imagining and designing. The wheels were a spinning and there were many a sleepless night, since I come up with my best ideas when I’m halfway between sleep and being awake. The move is now just over a week away and I plan on documenting it as if I had a news crew following and documenting every move we make. This is going to be one of the biggest events my husband and I have been a part of since the birth of our youngest sons. Let me say that the excitement and anxiety level is at an all time high! If this had happened a year ago, you would have had to drag me kicking and screaming to the new house but I’ve resolved myself to making the best of this and trying to always look at our move in a positive light. This is the best decision for the boys, for my husband and for myself. New horizons, new learning opportunities and of course, a beautiful new home!! I'm Kimberley and I know a lot about nothing and a little bit about everything. I'm a mom of 5, a creative home stylist, wanna be chef, a DIY'er, and a city girl through and through. These are the adventures or rather mis-adventures of my family relocating to small town Ontario, and adapting to life in what seems like another world - the country. A little bit of humour, a little bit of serious but for sure - a whole lot of FUN! Enjoy. Subscribe to the Tales from the Crib Newsletter - Don't miss a single juicy morsel!